OneSearch is a simple and fast search engine for finding relevant information from the Eckerd College Library collection on any topic. It allows you to quickly search and access a variety of library items including books, DVD’s, journal and magazine articles, and other materials from the library catalog. How do I use OneSearch? Enter your search terms from the OneSearch tab on the library home page. Follow these four steps for successful searching in OneSearch. 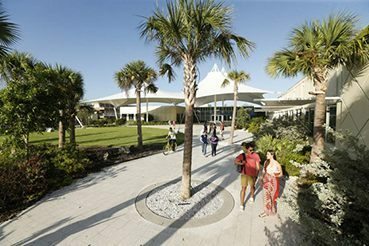 If you have additional questions about using OneSearch, please contact an Eckerd College Librarian. Enter one or more search terms in the OneSearch search box on the library homepage and click the SEARCH button to launch OneSearch and perform your search. If you want to search for a phrase, enclose your words in “quotation marks”. Once you are in OneSearch, there are more options under the search box. OneSearch can find results in most of the library’s databases (including the library catalog) so the number of results it finds can be very large. You can limit your results by using the facets on the left, in the same way that you can when you search sites like eBay or Amazon (or databases like Ebscohost). It is important to note that your initial search from the OneSearch tab on the library’s homepage has the limiter “Full text articles & the library catalog” applied to your search results. To expand your search results, uncheck this limiter. In the Refine your results area you can also limit by date (using the slider, or by typing in start and/or end dates and then clicking Update). This area also allows you limit to items in the catalog only or peer reviewed journals. OneSearch displays brief records initially. These will often provide you with enough information to decide whether you want to follow them up. If an item is available in full-text in OneSearch the linked to full text, HTML or PDF full-text links will be displayed. Some records also offer Full Text from Eckerd links. As well as finding out whether we have the item online or in the library, Full Text from Eckerd will provide links to our InterLibrary Loan forms if an item is not in our collections. To find out more about an item without going to the full-text, click on the article title to display the full record. This will show you a description of the item, its subject headings (which can be used to launch new searches) and tools to save, bookmark or cite the item. Once you have exhausted the main results set, you can use the Include these Resources panel on the right to find results in additional databases. You can hover over the name of each additional database to see how many hits it contains, or hover over the Details link just below the Includes these Resources results heading to see a summary of the number of hits found in each database. We recommend you look at the results from one external database at a time. Just click on the name of the database to display it’s results. OneSearch will initially just display the first 30 hits from each external database, so using limits might not be much help. Once you reach the last page of results there is a link to fetch More Results. Each record has a Retrieve Item link which will take you to the full record on the external database’s site. From there you will probably be able to go back to the full results set on the external database’s site, as long as OneSearch didn’t run your search so long ago that its session on the external database has expired. Can I use OneSearch off campus? Yes, anyone can use OneSearch from off campus with limited access. 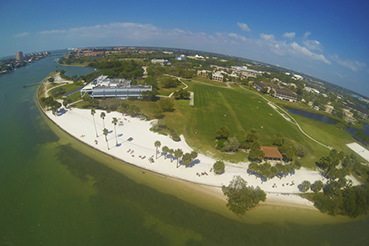 If you are affiliated with Eckerd College, you will need to select the login link in the yellow ‘Hello, Guest’ box at the top of the page. Use your email login (without the ‘@eckerd.edu’) and password to access all full text resources in OneSearch. What are the minimum browser requirements for using OneSearch? The Minimum Browser Requirements for OneSearch (and all EBSCO database interfaces) are below. For additional information, please see the EBSCO support website. Why do I see a blank window when attempting to open a full text link in OneSearch? When attempting to open the full text link another window opens which triggers your browser’s pop-up blocker. This requires you to disable (turn-off) the pop-up blocker. Does OneSearch include everything the library has? No, but it includes so much of what the library has that it will almost always be a good place to start a search. The following databases are not included in OneSearch: Archives Unbound Collection, ArticleFirst, Books in Print, Choice Reviews Online, CQ Weekly, Electronic Collections Online, MathSciNet, PapersFirst, PsycInfo, SciFinder Scholar and World Scholar: Latin America & the Caribbean. When would OneSearch not make sense as the first place to search? I’m very proficient using the subject-specific databases in my field. Is there any reason I should use OneSearch? Because OneSearch will have such broad coverage, it may locate relevant materials published in other fields that you wouldn’t otherwise find in a subject-specific database. So then why would I want to choose a subject-specific database anymore—can I just use OneSearch instead? OneSearch is not replacing any of our subject-specific databases. 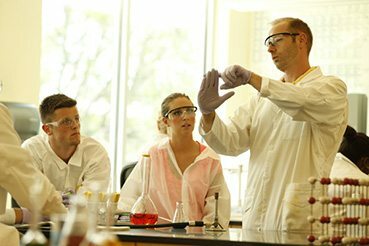 These databases offer valuable advanced searching capabilities tailored to their subject areas. How do I get help with using OneSearch? As always, if you need help navigating the databases, need suggestions for search terms, or would like to know more about OneSearch please Ask A Librarian for assistance. How can I give the library feedback on OneSearch? Use our Feedback Form to let us know what you think about OneSearch. Who is the vendor of OneSearch? OneSearch is a web-scale discovery service for libraries. Our service is provided by Ebsco Discovery Service.